WHITESTONE, N.Y.–Â NASCAR was built on grassroots racing. Over time, that style of racing has slowly dissolved. However, the racing is as intense, or even more intense than it has ever been. Rivalries have been a key part of how the sport has developed since its inception in 1948. Even though the sport developed to not have too many rivalries, it is time to have a good, juicy rivalry to spark some flames between the latest batch of competitors which are entering NASCAR’s top-three divisions. A great future rivalry might just be Kyle Larson and Austin Dillon. Or, Ricky Stenhouse Jr. and one of those drivers. What if, Kyle Busch gets into a bout with a veteran driver such as Jeff Gordon? How would the sports world react to all this controversy? Look at the limited rivalries over the past few years. Kevin Harvick nearly beat up his boss’ son, Ty Dillon, after an on-track incident during the NASCAR Camping World Truck Series race at the Martinsville Speedway while attempting to win a Sprint Cup Series title. Remember when Harvick jumped over pit wall and attacked Greg Biffle after a Nationwide Series race? Stuff like that is exactly what the sport needs to regain the popularity it had during the early-mid part of the 2000’s. So, why does NASCAR need rivalries? Let’s take a look at one of the most famous cases of a NASCAR rivalry, the 1979 Daytona 500 finish. If this fight had not occurred, NASCAR might not have signed CBS and other television networks to broadcast the sport on a full-time basis. Though there were plenty of fights and rivalries before this one incident, it was one that most people recognize due to the timing of the wreck. In 1989, one of NASCAR’s most hated drivers, Darrell Waltrip, was about to win The Winston (Sprint All-Star Race). Waltrip was wrecked by Rusty Wallace out of turn four as they were the two leaders soaring towards the white flag. That one incident led to a giant mess between Waltrip’s crew and Wallace’s crew. Over the past few seasons, the sport has not seen too many fights such as these. Moreover, there have not even been many rivalries to produce these fights. Of course we have seen Kurt Busch against Jimmy Spencer, but that did not last too long. There was the Kyle Petty-Denny Hamlin incident at Dover a few years ago. And who could forget about Jeff Gordon and Jeff Burton dueling on the backstretch at the Texas Motor Speedway a few years ago? A rivalry does not need to involve fighting though. A classic rivalry back in the 1990’s included Dale Earnhardt Sr. and Terry Labonte. These two drivers fought harder against each other than any other man on the race track. Even though they did not fight off of the race track, they took their anger out on their race cars while roughing and toughing each other. Sure they got on each other’s nerves and tore up some equipment, but they gathered the attention of people outside of the sport which drew interest from people across the world. People look at those races as one’s which helped make the sport as popular as it is today. Unfortunately, the closest that the sport has seen in a rivalry has been all but short of just that. Kyle Busch against Dale Earnhardt Jr. only lasted for one season as they made comments about each other and then made up. Juan Pablo Montoya and Harvick got into it at Watkins Glen, but that was just a one-time event. In 2013, there were not many rivalries. We saw Greg Biffle and Jimmie Johnson trade paint at Martinsville and Kansas, but besides that, there was not much of a rivalry. What NASCAR needs is a good ol’ rivalry to spice things up. Not only does the Sprint Cup Series need a rivalry, but the Nationwide Series and Camping World Truck Series as well. It would be great to see some of the developing drivers start to have a friendly rivalry with one another. Imagine in a few years, Chase Elliott, Ryan Blaney and Darrell Wallace Jr. will each be in the Cup Series, contending for wins on a weekly basis. If these drivers can develop a rivalry between one another, there might be a way for NASCAR to show how aggressive drivers can actually be. 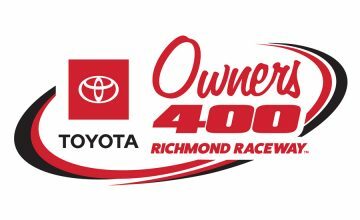 A lot of people look down on NASCAR for being the sport that goes in circles for 500 miles per weekend. Well, it is a lot more than that. Anyone that knows just a little about the sport can tell someone that. However, people might regain the respect that NASCAR had until the past few years. To get this respect back, a few rivalries will work perfectly in NASCAR’s favor. Brad Keselowski, a man known for voicing his opinion, developed a great rivalry in the Nationwide Series against Ky. Busch over the past few seasons. The two have had some run-ins plus some choice words, but nothing has seriously developed, for now at least. Rivalries would be a perfect thing for NASCAR to have during the 2014 season. Even though rivalries are not born instantly, all that is needed is one minor incident. It seems that since the inception of the Chase for the Sprint Cup, NASCAR’s version of the playoffs, in 2004, there have not been too many rivalries because drivers do not take risks during the regular season such as they used to. Say if a driver is 25th in points, battling against a guy that is fifth in points, for a win at Bristol, the driver in fifth is likely going to win, especially leading into the Chase because the 25th place drier will back down instead of bumping and banging like we have seen in the past. The answer might be to bring the old points system back, ridding of the Chase completely. However, getting rid of the Chase might get rid of major sponsors such as Sprint, which severely benefits from all of the promotion which the Chase receives on television networks through commercial promotions plus promotions created by NASCAR’s marketing team. Even though the sport could use a rivalry, it is not necessary to succeed without one. For some reason, when a rivalry is sparked, more people tune in. Take a look at the fight between Gordon and Clint Bowyer at Phoenix in 2012. That one fight received national headlines, sparking interest from people that never even liked NASCAR. Now is the time which NASCAR needs to make some moves. Competition is strengthening, yet the drivers are not as aggressive as they once were. With an importance of making the Chase for the Sprint Cup, drivers cannot take risks such as they once did. This is exactly why Earnhardt Jr. did not wreck Ky. Busch at Richmond a few years ago, and why Elliott Sadler never wrecked Regan Smith after an altercation during a Nationwide Series race in 2013. The sport needs a nice rivalry to spice things up. Even with action packed racing, a rivalry will surely pump up the crowd. If there were a good rivalry, NASCAR’s ratings would likely increase as well. Over the past few seasons, ratings have declined slightly after seeing record highs from 2004-2007. With the changes being made to the Generation Six chassis/body, teams should be closer in competition than ever before. Preventing drivers from flat out dominating a race might just help bring back some rivalries. However, with a new face within the sport in terms of the style of racing, NASCAR must find a way to get the drivers to make riskier moves. Those risks is what brought drivers such as Gordon, Tony Stewart and others to the top in a short amount of time. 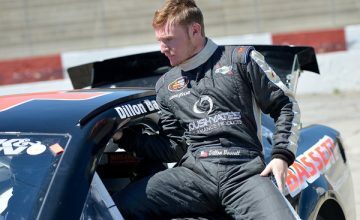 These younger drivers have the potential to become the face of NASCAR in the future. However, if they are not aggressive, they will not be as successful. Sure, these guys have what it takes, but we have yet to see how aggressive they can be in tough situations on a weekly basis. Only time will tell how rivalries will continue to develop in NASCAR. Fans love to see rivalries in any sport. Just think of Cale Yarborough and Darrell Waltrip’s rivalry in the late 1970’s to mid-1980’s as the Yankees-Red Sox rivalry in baseball. In 2014, a rivalry or two might just spark up mid-way through the season. It would be fantastic for the sanctioning body to witness a good ol’ fight or two throughout the year. The great part about NASCAR is, they usually do not penalize drivers for fighting. Do you agree? Let us know on Motor Racing Scene’s Facebook Page or on Twitter at @MRacingScene.